Just Listed :: Renovated Cottage in Ashford Park! Welcome Home! 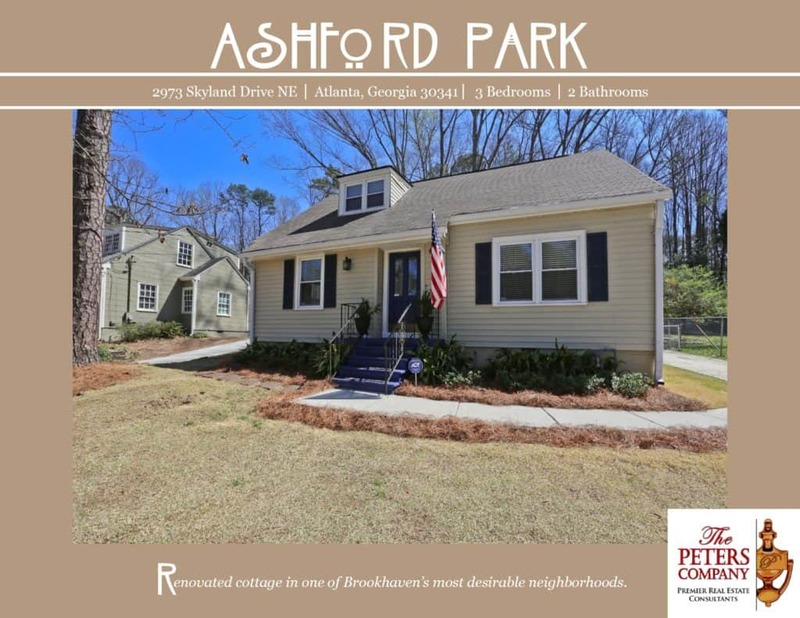 Located in one of Brookhaven’s best locations, Ashford Park, this home is just what you’ve been looking for. The custom features and charming character of this home will never go out of style. The close proximity to Peachtree Road, I-85, and GA400 makes it convenient to and from any direction. Did we also mention that you are literally only minutes from all your favorite hot spots at Village Place Brookhaven including Haven, Valenza, Verde, Kaleidoscope, and Pour? · Kitchen features ample cabinet space, granite counters, walk-in pantry, island, and spacious breakfast area with built-in banquette seating. · Formal living room boasts neutral colors and plenty of natural light. · Spacious family room addition is the perfect spot for relaxing. · Master suite is a true retreat including dual closets, built-in shelving, and bath with large vanity and separate shower. · Gleaming hardwood floors throughout most of main level. · Wonderful outdoor space includes a large patio overlooking the fully fenced backyard with storage shed. ← Just Listed :: Adorable Townhome in Brookhaven's Druid Knoll!